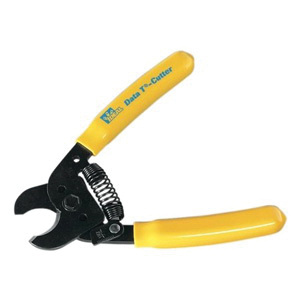 Ideal Industries Data T® Spring loaded wire cutter assist to cut round communication cables up to 0.5-Inch and coaxial cable up to RG-9/U size. It is suitable to use for soft cables, round copper cable cutting and comes with yellow cushioned comfort grip handles. This wire cutter has curved cutting blades that maintain cable geometry for better cable performance.